When you are going somewhere you have not been before, it’s not only about getting the direction there, but also about understanding how that place looks like. Imagine you send your driver to pick some goods. Then you should probably make preliminary research is there enough space for the truck or what is the road surface quality there. 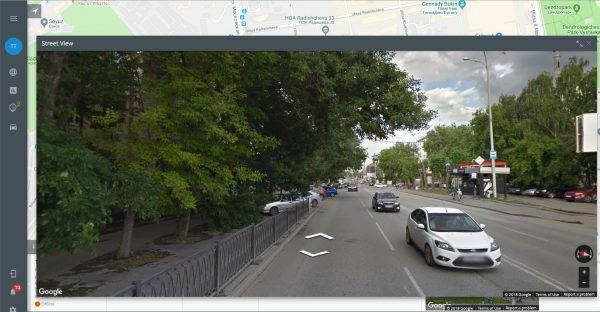 Tag the necessary place on the map with the right mouse click and select “Street View”. Panoramic view will be displayed in a popup window. To “turn your head around” use left mouse button. 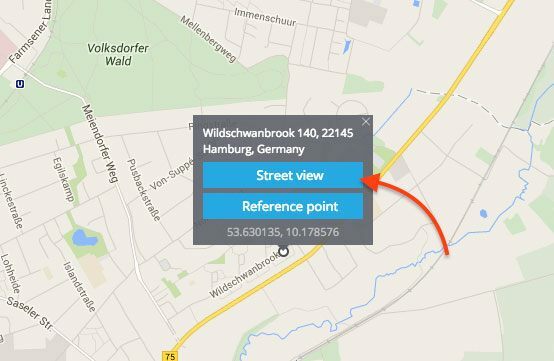 And, just to remind, you can also use ‘Search address’ tool located in the bottom of the screen to find any locations you need.